In the introduction to The Infernal Life of Branwell Brontë, du Maurier’s biographer Justine Picardie informs us that this was her least sold book. Until I won it in a raffle at the Brussels Brontë Group’s Christmas Lunch I had no idea such it even existed. I knew she was a Brontë fan because of the obvious connections between Rebecca and Jane Eyre, but I can understand how Branwell, the second oldest sibling to make it to adulthood, must have seemed an irresistible subject: the golden boy, the failed genius, the tragic decline into early death. And so little information, so many mysteries waiting to come to light. (…) gave her the opportunity to test herself in a way she had, in fact, always wanted to do. There was a good deal of the scholar manqué in Daphne, in spite of her frequent claims to have a butterfly mind. But if her intention was to produce an academic biography, her novelist streak got the better of her. 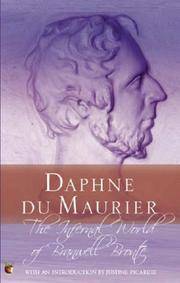 Infernal World is what happens when a very gifted author builds a story out of limited resources: all the known events in Branwell’s life (at the time) are there, but based on them, du Maurier makes him come to life with touches of creative writing. The only son among five (and then three) sisters, Branwell was always the prodigal son. As a child he initiated his sisters in the world-building they created until very late and which influenced their adult writing. It was the perfect testing ground for all the Brontë children and Branwell was their brilliant leader. Together wrote thousands of pages in tiny handwriting of stories set in fantastic countries – Angria and Gondal – which had their own geography, history and heroes. He had an extraordinary memory, he count write with both hands, he was taught Latin and Greek by their father, he wrote poetry and painted. The future was bright for Branwell. So bright that while writing her will in those early days, Aunt Branwell didn't find it necessary to include him. But by the time his aunt died, contrary to all expectation of his success, Branwell was destitute, alcoholic, accused of having an affair with the wife of his employer, and dependent on irregular employment and his aged father. He had entered the slow decline which would lead to his death at 31, just six weeks before Emily’s own and some months before Anne’s. The Infernal World paints a vivid picture of this decline, brought about, according to du Maurier by his weak resistance to failure, a secluded childhood (he was home-schooled because his father though his was too nervous and sensitive - and possible mentally instable - to be educated with other children), and a weak spot for drinking, laudanum and everything that would make his forget his misfortunes. Branwell’s friends and acquaintances had the uncomfortable habit, unknown to them, of turning into Angrian characters, and he himself, while trying to behave like Branwell Brontë, the promising young portrait-painter, was forever considering the world and those about him with the jaundiced, cynical eye of Alexander Percy [his main hero]. “This is only part of a poem, one among many, that scattered the pages of Branwell’s Luddenden notebook. None of them shows outstanding talent”. I’d recommend The Infernal World of Branwell Brontë Picardie to all Brontë and du Maurier fans alike. The first will find a well written and vibrant look into the family’s lives based of the facts known in 1960 (for a more modern take I can’t push Juliet Barker’s biography enough) and the latter will get an insight into one of the du Maurier’s passion: this fascinating family from the Yorkshire moors that have reached cult status. I've been interested in reading this book since I read Justine Picardie's novel Daphne which has du Maurier as a main character and revolves around her fascination with Branwell Brontë. I'm glad to hear you would recommend it! 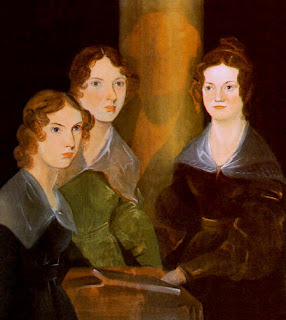 I love the Brontës so will look out for the Juliet Barker book too. I was also fascinated by that book - given that Branwell is lost in obscurity when his sisters are mentioned, I found this book shedding some light into a complex personality and an even more complex family. Great review! I've had this book sitting on my shelf for at least ten years. I really need to dust it off and read it! Thank you Alex for such an interesting post. I've been curious about Branwell Bronte ever since reading the Lucasta Miller book. I might have to go and find this one. Thank you so much. I have been obsessed with the Brontes since I was a kid and I love du Maurier as well. I will definitely read the Barker book as well.